Download and read the best creator owned comics on the planet! 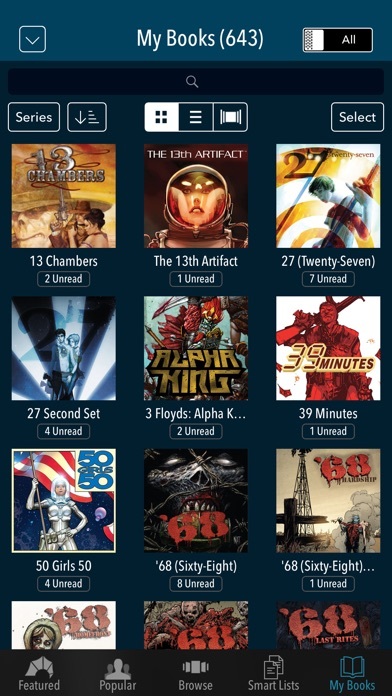 Image Comics comes to iOS courtesy of comiXology, with the famous Guided View™ Technology. 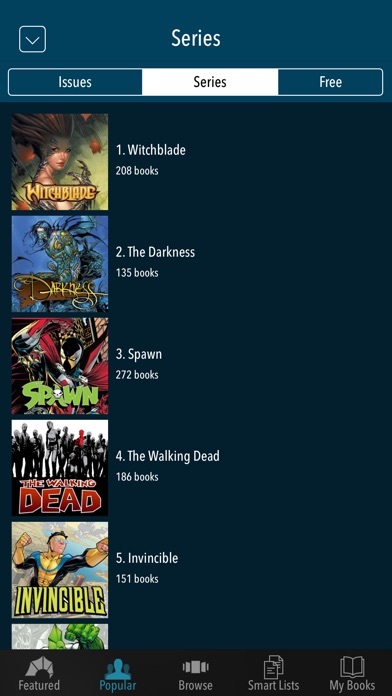 Updated Smart List design and Compatible with Comics by comiXology. Buy here, read anywhere! Don't download the new update. Just downloaded the new update and it doesn't maintain my preferences, and title folders close unexpectedly. I don't know if it's happening to all the Comixology-run apps, but I tried deleting the Image app and re-downloading my comics, and that didn't work. DON'T DOWNLOAD THIS UPDATE. This app is extremely misleading, as you can only link an Amazon or ComiXology account. All those digital comics I bought directly on Image's website? Can't read em here. Why do I even bother trying to give you my money? I’m just wondering why my Invincible 144 letting me purchase, please help. I otherwise really enjoy the app and I’ve had it for years. The app always finds its way from device to device but right now I’m frustrated. I hope this gets fixed quickly, I need to read my comic. Love Spawn and the artwork. Thanks Todd and company. 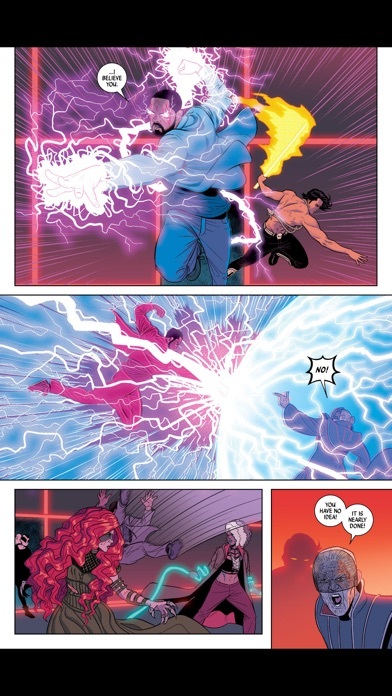 Image Comics is a easy to use comics and graphic novels store and management application that provides content in a glorious HD resolution as a option. Users familiar with or who use Comixology will feel right at home with the ability to sign in with the service information and from there any content you have will be shared with this application. 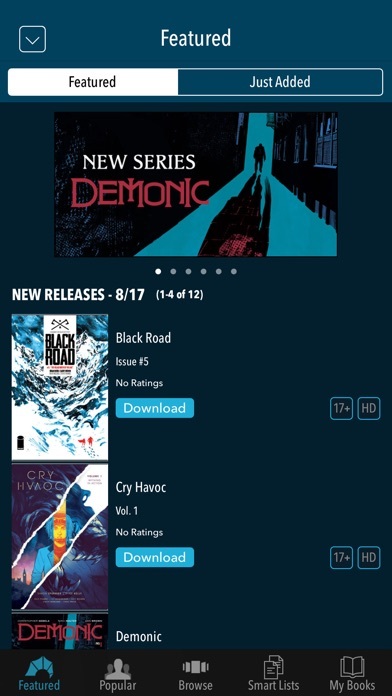 The interface design and store menu is similar to ComiXology as well as other comic label applications with the ability to set push notifications for sales and promotions, set limits in how much content can be stored as well the ease of browsing content by series, author and other methods. While the content itself is limited to off shoots and more unique original stories there is still enough to hold comic aficionados interest as well as those who aren't currently invested in the traditional Marvel and D.C. superhero tales. As of this week when you launch the app your asked if you want to use amazon to logon. Don't do it! If you do you lose your ability to make in app purchase and will have to use comixology on the web. I refuse to use anything other than in app purchase and this app was one way around that. Hope it has't been killed as well. If it has I am going to miss my comics since there is no way in hell I'm using comixology on the web. I don't see any problem with the app or the business model. It's the same Comixology app but with IAP still intact. I think most of those who gave the app a bad review probably used an IAP hack hwnce encounting download problems. Some may not understand the business model as well. Some even unfortunately don't understand that they needed a Comixology account and buy from a Comixology store before their purchases appear in any Comixology app.